Beacon Hill Catering and Events is delighted to be one of the preferred caterers at Arbor Crest Wine Cellars. We love bringing our gourmet and full-service catering to Arbor Crest's stunning grounds for your guests to enjoy! Arbor Crest Wine Cellars is located 20 minutes from downtown Spokane with a versatile space that can accommodate an array of events. 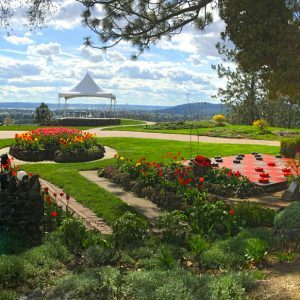 Situated on four beautifully landscaped acres, the winery captivates guests with its Florentine influence and panoramic views of the Spokane Valley. We hope to serve you soon. Choose Beacon Hill Catering at Arbor Crest Winery!